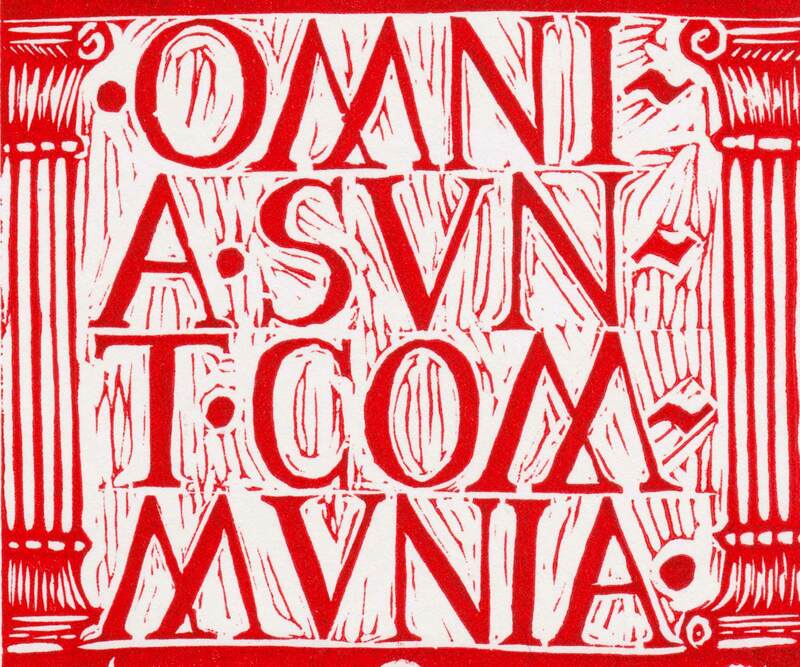 Omnia Sunt Communia – Everything Belongs to Everyone – was a slogan attributed to the radical preacher Thomas Müntzer. Müntzer was one of the intellectual leaders of the German Peasants' War of 1525, an uprising that attempted to carry through the radical idea of emancipating the population from their feudal and religious overlords. The revolt was crushed, but thanks to the printing press the desires of the peasants were preserved. 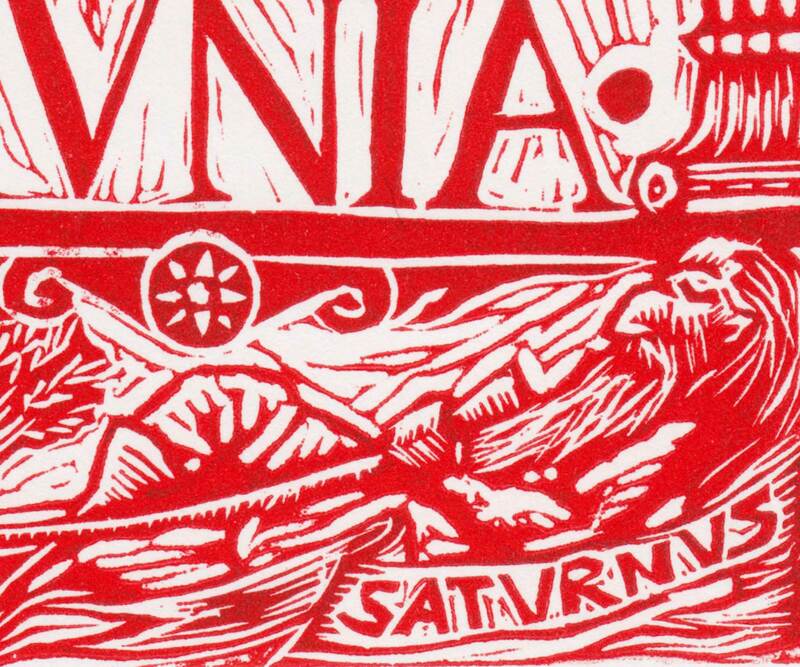 Omnia Sunt Communia mimics the format of the printed ephemera used during the uprising. 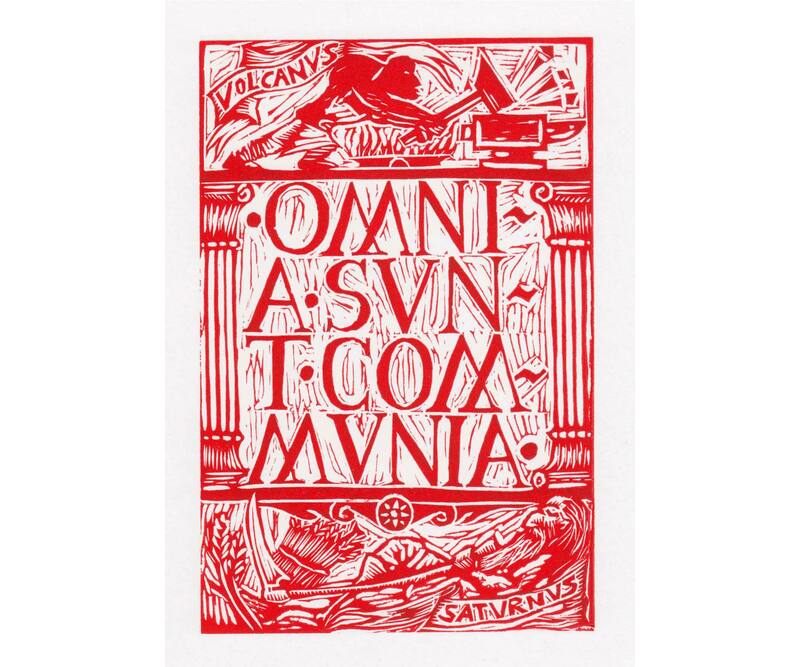 The Latin text is surmounted by Vulcan, the hunchbacked, hammer-wielding god of metalworking, while underneath sleeps the crippled Saturn with his sickle. Saturn is the old god of time and change, at whose feast the world is turned upside-down, with the servants being waited on by their masters.